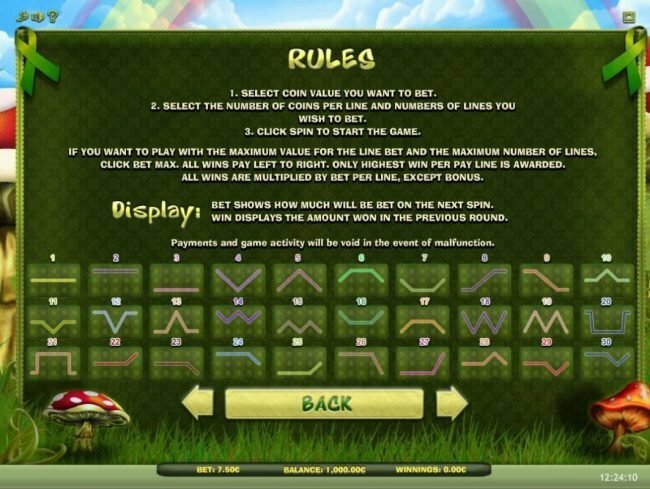 Review the free demo Lucky Leprechaun online slot machine created by iSoftBet with 30 lines and 5 slot reels. Lucky Leprechaun Slots has not been reviewed yet, be the first to rate this slot. This 30 pay line, 5 Slot reel online slot Lucky Leprechaun is a memorable game. 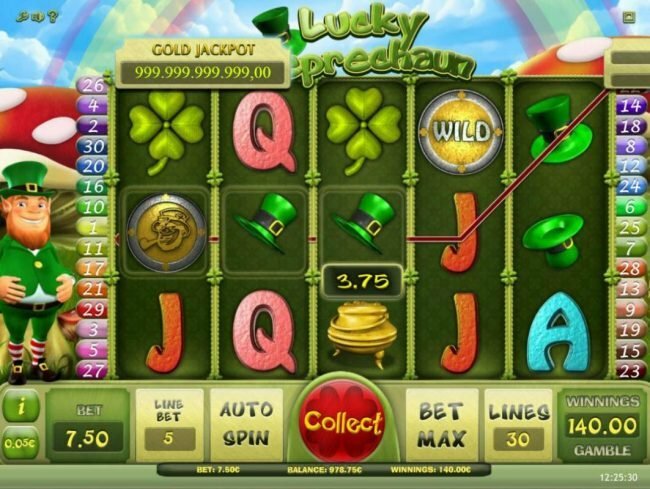 Playing this well designed leprechaun luck based video slot brings lots of Thrills by utilizing slot icons such as a four-leaf clover, and a green leprchaun hat. 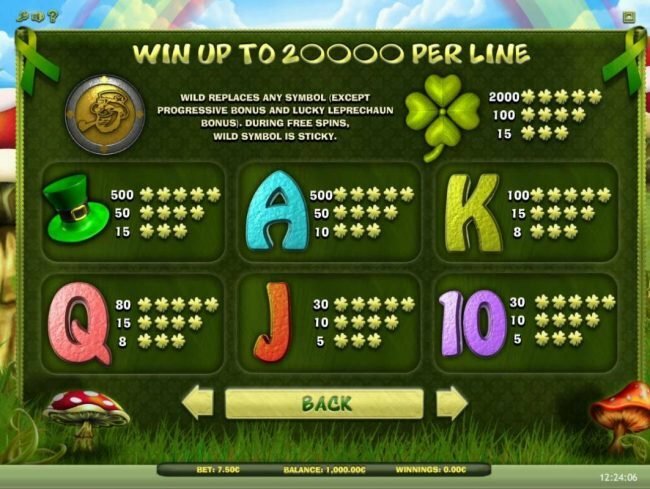 Additionally there are also ace, king, queen, jack and ten raising the level of experience of this simple but good leprechaun luck online video slot. 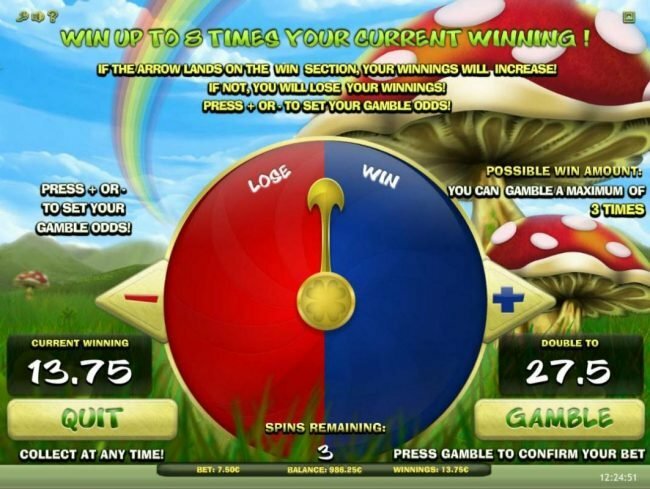 Offering spins from $0.01 all the way up to $7.5, this iSoftBet developed game provides lots of levels. The wild leprechuan coin icon fortunately is used as the values of everything except for the pot of gold and a lucky leprechaun symbol, increasing greatly your chances of wining a decent amount. Scatter icons located in Lucky Leprechaun are very unique, these pot of gold and a lucky leprechauns are not required to appear on a single to win. As with a lot of other slot machines having more than two scatter symbols will start a bonus. Slots such as Jazz On Club, Gifts from Ceasar and Pharaoh's Treasures are similar Video Slots as well in both lines and reels. 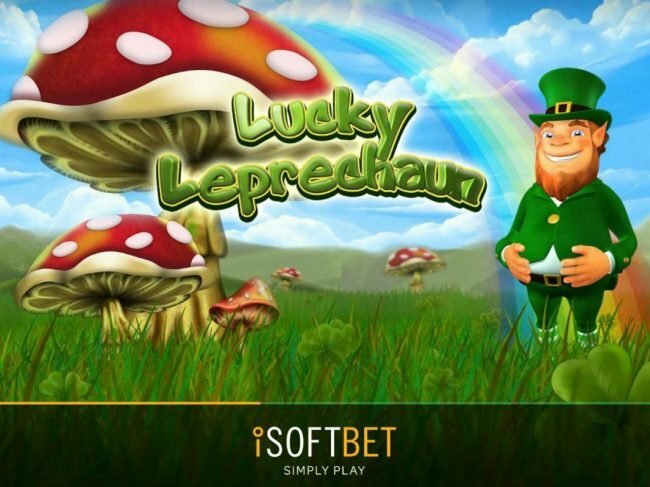 We truly loved playing Lucky Leprechaun, the leprechaun luck set slot offers a massive amount of production that places you inside the game displaying the a four-leaf clover, and a green leprchaun hat symbols and sounds. 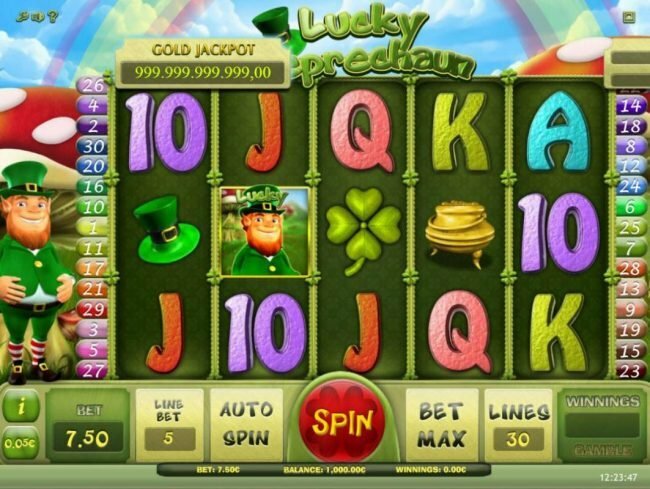 In closing we think Lucky Leprechaun is a fun slot including hardy pay outs and images. We say the bonus round section of Lucky Leprechaun is for sure the greatest part. Following are the details on the extras you are able to get. 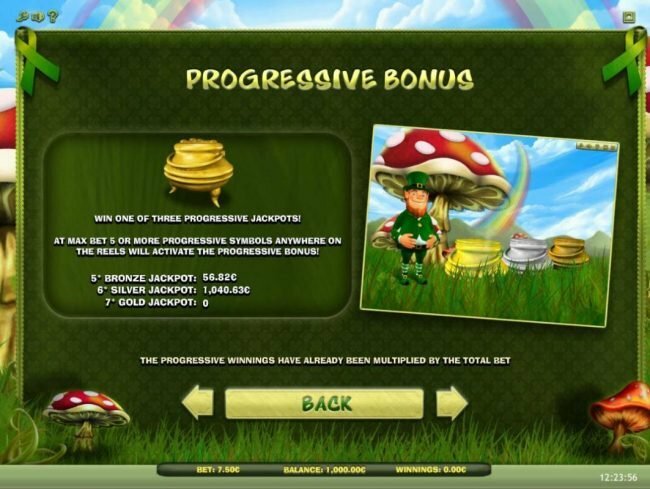 Get five or more pot of gold scatter symbols anywhere on the reels will activate the Progessive Bonus, awarding one of 3 progressive jackpots, bronze Jackpot, Silver Jackpot or Gold jackpot depending upon the number of triggering pot of gold bonus symbols. This will trigger the Progressive Bonus feature game. 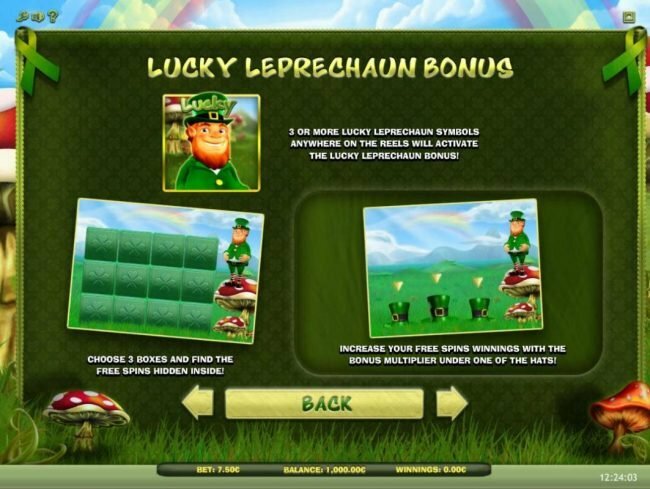 To begin the Lucky Leprechaun bonus round, begun by getting three or more lucky lerechaun symbols anywhere on the reels will activate the Luck Leprechaun Bonus, awarding three boxe selection to find Free Spins hidden inside. I will give Lucky Leprechaun 5 out of 5 stars for the features. you can be distracted from the actual game play.